It looks like the day when Cherry Mobile Flare first came out last November 2012, lots of people wants to own this new high-end and very affordable device from Cherry mobile again. Its hard to believe that this tablet packed with next generation features and specification can only be sell in a very low price, they called it Cherry Mobile Fusion Bolt. If we check the CM Flare specs, we will think that the price will fall beyond Php8,000. It’s hard to believe that a smartphone with dual camera, 4-inch IPS touchscreen and Snapdragon dual-core processor has a price of Php3,999. 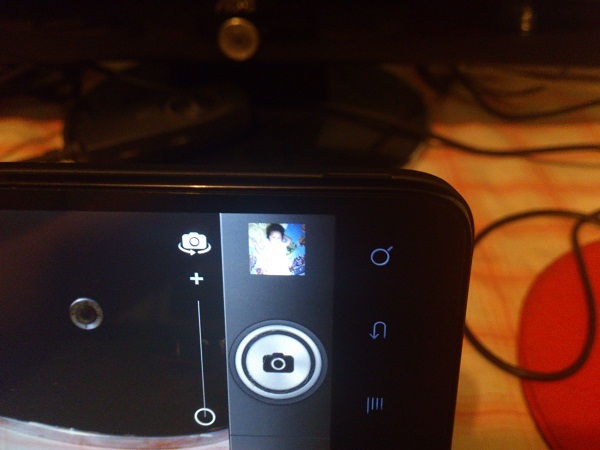 I spread the good news to my friends and relatives, fortunately, I was able to convinced one of my cousin to buy a CM Flare when I told him about its features and specs. I want to see how good it is and I want to try it myself for review purposes. CM Flare glass display and plastic case looks premium to me. 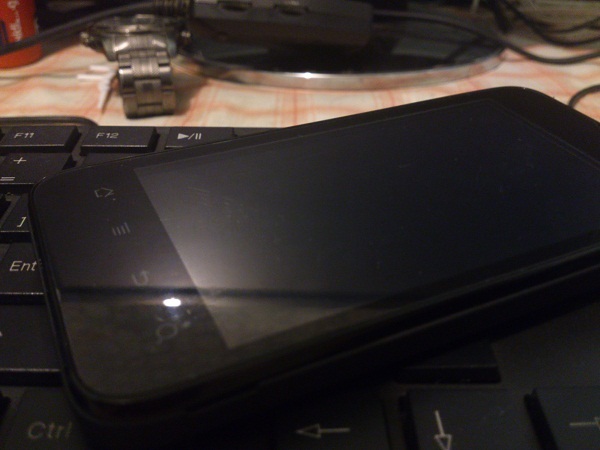 It has nice icons, bright and clear IPS display, fast internet surfing and video streaming and runs 3D games. Thanks to 1.2GHz dual-core Snapdragon processor, aside from running different apps and 3D game, it can also do multi-tasking like other high-end phones do. 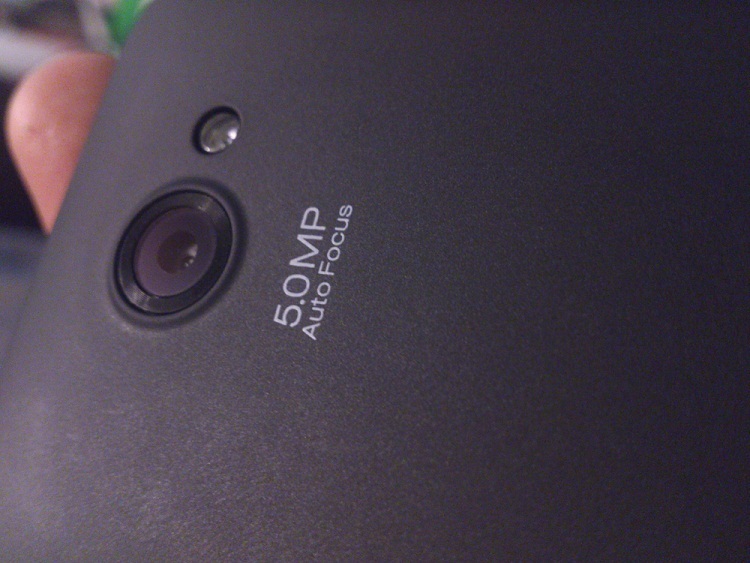 The 5-megapixel camera can capture sharp images with fast autofocus but it doesn’t have a camera physical button, so there’s no half-press for this phone. 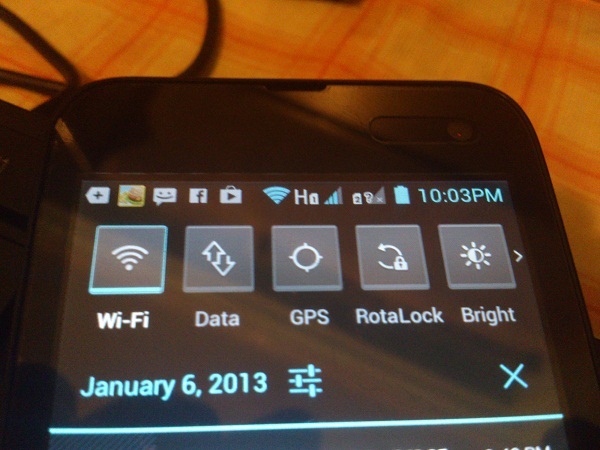 Android ver4.0.4 is already came with the device but there is no announcement if it can be upgrade to Android 4.1 Jelly Bean. 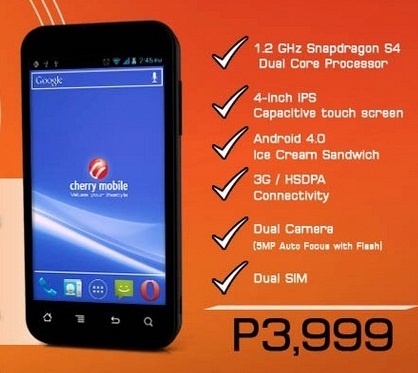 For those who wants to switch to Android phone, if you already done with your research on what smartphone to buy, check the new dual-core smartphone from Cherry mobile. Techy persons with existing smartphone who are looking for upgrade of speed and features, Cherry Mobile Flare will be suitable for you. 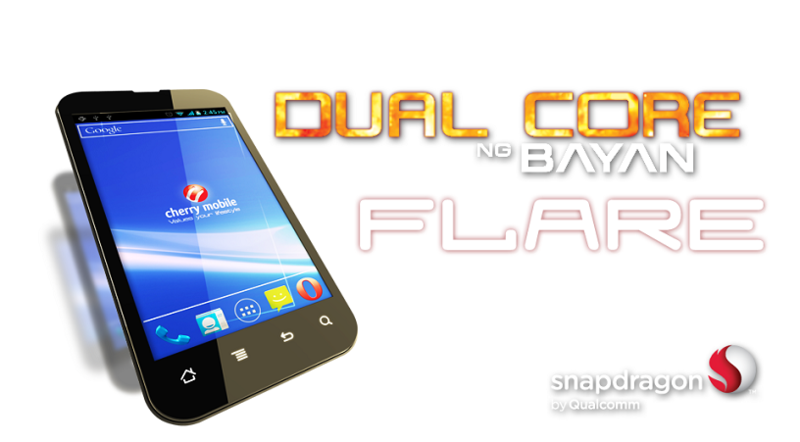 Flare was first announced on October 24, 2012 and became available in Philippine market on November 17, 2012. 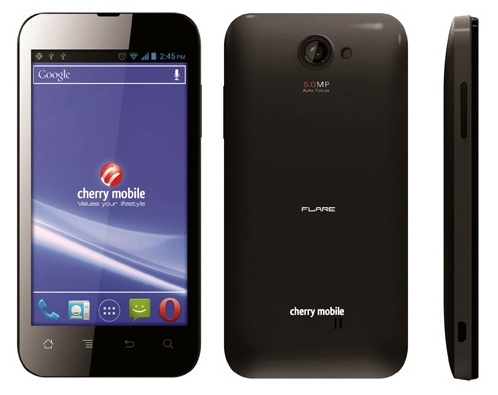 CM Flare has a next-generation specs that you can found in smartphone brands with big names in the market like its 1.2GHz dual-core processor(Snapdragon S4), Adreno 203 GPU, 4.0-inches IPS panel and running an Android OS ver4.0 ICS to name a few. 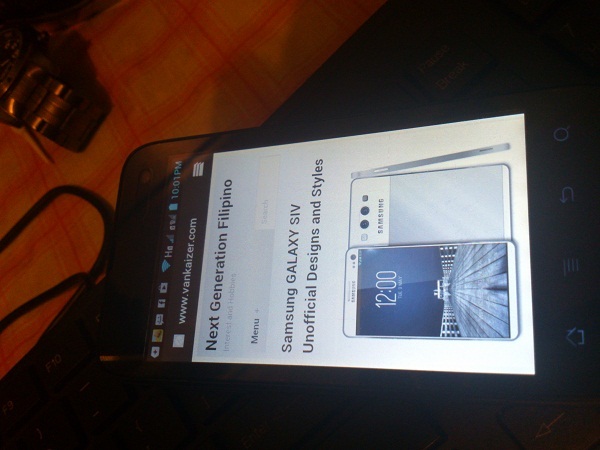 I suggested this phone to many of my relatives and friends before but bad new is, its running out of stock because of its premium look and Php3,999 price tag. For mobile gamers, CM Flare can run high-quality 3D games not just temple run but NBA 2K13, NFS most wanted, Asphalt 7 and other smooth 3D graphics games in Google Play market. Other selling features of CM Flare are dual camera (5-megapixel rear and VGA front camera), dual-SIM, 4GB internal storage with expandable card slot and long-lasting battery life. We can’t find Flare anywhere but hoping that the new stock of CM Flare become available by the first week of December, we can no longer wait and we already want to see it.